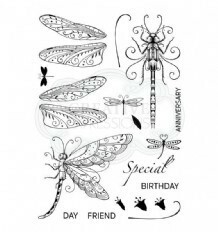 The Dragonfly stamp set by Pink Ink Designs, is a set of hand drawn stamps made from high quality photopolymer. 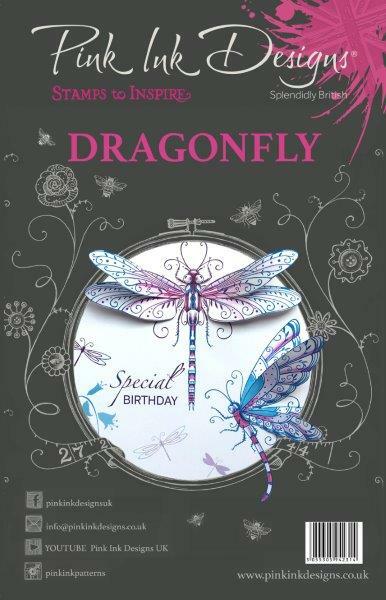 Create your very own decorative scene, with two different dragonfly stamps and additional elements. There are five sentiments included in this set; Anniversary, Special, Birthday, Friend, and Day.